At Albano Law, PLLC, in Frisco, Texas, we provide individuals and families with skilled and compassionate legal counsel. Our founding attorney Christine Albano takes a personalized approach to each case in order to ensure she understands our client's specific legal needs. Whether you are facing a divorce, a child custody dispute or any other family law matter, we are prepared to protect your rights. When you need a lawyer you can trust with something as personal and important as your family law case, turn to Albano Law, PLLC. 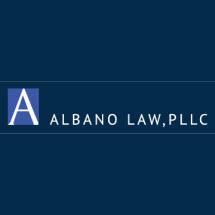 Ms. Albano is Board Certified in Family Law by the Texas Board of Legal Specialization. She is an accomplished lawyer who is committed to helping people resolve legal matters efficiently. Most importantly, she treats each one of her clients with respect, dignity and compassion, while using her in-depth legal knowledge to help them get the best possible results. Ms. Albano also has extensive knowledge handling complex property division matters as well as the unique issues business owners and professionals face in family law disputes. We believe that negotiation and settlement are almost always preferable to trial in family law matters. Handling your case outside of court may save you time and money, as well as the stress and emotional turmoil that can be caused by a drawn out trial. Reaching amicable agreements may also reduce trauma to children. We take a determined approach to help our clients resolve their cases during settlement conferences, in mediation and through collaborative law whenever possible. However, if your case necessitates trial or court intervention, have confidence that you will receive strong representation in court with Ms. Albano as your zealous advocate. To discuss your legal needs with our law firm, please call 972-987-0963.